We're celebrating the stunning work of Tatiana Maslany who brought new meaning to the word multi-talented. 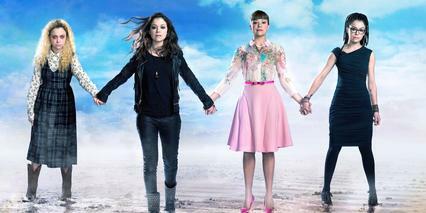 As Sarah, Helena, Alison, Cosima, Rachel, Tony, and many more members of the Clone Club, Maslany gave us an unprecented display of acting in the amazing BBC America series, Orphan Black. This CQ Celebration box includes more than $60 worth of Clone Club collectibles, including a sterling silver charm bracelet, a complete Orphan Black comic mini series, nail wraps and more.